Taylor’s Eye Witness Unveils New Sheffield Facility | Taylors Eye Witness – Kitchen knives, knives and tools, pocket knives. Historic move for the brand after 150 years. 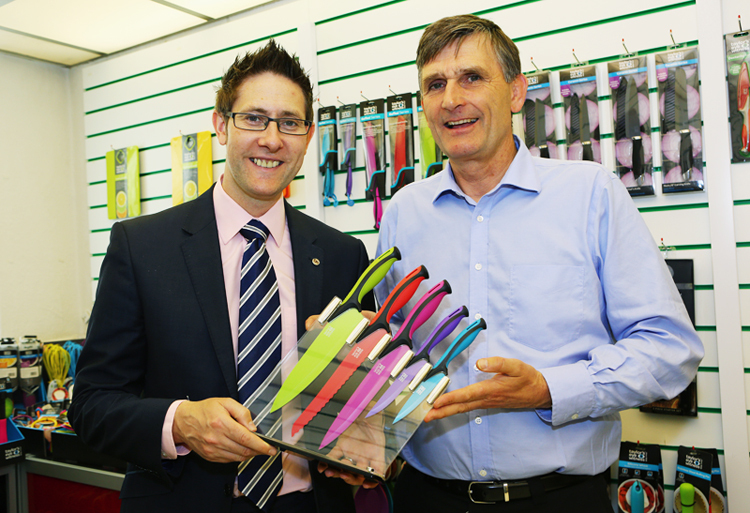 Taylor’s Eye Witness Ltd, the Sheffield premium kitchen knife manufacturer and distributor, which supplies national and international homeware retailers, is set to invest £1m into a new production facility as part of a deal with Sheffield City Council. The new location marks a historic move for the brand after 150 years trading from its Milton Street venue. The new site, a 32,000 square foot single storey unit off the Sheffield Parkway, was previously owned by Sheffield City Council and will provide the business with a new modern factory space as well as room for their growing distribution business. In return Sheffield Council will take on ownership of the brand’s existing Grade 2 listed building. As part of the move, Taylor’s Eye Witness Ltd will invest in new machinery for the manufacturing unit, new warehousing equipment, offices and a trade showroom. Alastair Fisher, joint managing director of Taylor’s Eye Witness Ltd said: “We are experiencing growing demand across our product ranges as consumers are increasing their discretionary spending. Alastair Fisher with Councillor Leigh Bramall, Sheffield City Council’s Cabinet Member for Business, Skills and Development. The move will take place over the next 24 months and when complete will provide room for continued growth and open up new opportunities for recruitment in the local area. The business currently employees 50 members of staff. Taylor’s Eye Witness was founded by John Taylor in the early part of the 19th Century and remains an independent company. The brand has become nationally recognised for the design and production of kitchen knives and scissors and is committed to quality and customer service.